Born in 1961 in Hertford Matthew Waterhouse joined the BBC as a clerk working in the news and information department. At the same time he was actively pursuing an acting career. His first acting part was as a public schoolboy in To Serve Them all My Days in 1980. However, even before started work on this programme he auditioned and got the role as Adric in Doctor Who. At the time started playing the part of Adric he was just 18 years old. Since leaving the show he has worked in theatre appearing as Puck in A Midsummer Night's Dream, as Peter in Peter Pan and as Edmund in The Lion, Witch and the Wardrobe. He has also starred in a one-man show, The Adventures of Huckleberry Finn which he adapted from Mark Twain's novel. Matthew has recently become involved in a TV production called Ghostlands of which so far only three pilot episodes have been produced. Also involved in this production are Jacqueline Pearce, of Blakes 7 fame, and Sylvester McCoy who played the Seventh Doctor. Adric's tragic short life began on a planet in E-Space called Alzarius, where he and his brother Varsh were orphaned by the deaths of their parents Morell and Tanisa. Varsh coped with his losses by rejecting the society of the Starliner inhabitants to become a leader of a group of teenagers called 'outliers,' in consequence abandoning his younger brother. While remaining in the Starliner, Adric excelled in mathematics, even being awarded a Badge for Mathematical Excellence that marked him as a member of the elite among his people. Nevertheless, he tried to join his brother's group of misfits. An environmental condition called Mistfall caused the population to flee to the safety of the Starliner they and their ancestors had been tending for generations. Injured in a tumble and frightened half out of his wits, Adric stumbled into The Doctor's TARDIS and collapsed. The Doctor and Romana cared for him and helped to resolve a situation caused by creatures called Marshmen. With no family left alive (Varsh had died fighting the Marshmen) Adric hid in The Doctor's TARDIS. It took some time for The Doctor to realise that Adric had stowed away and at first he intended to return the boy to his people. But, as in several other cases, he took the young orphan under his wing. When Romana said good bye at the Gateway The Doctor brought Adric with him into N-Space, Adric often looking up to the Fourth Doctor as an almost fatherly figure as he learnt more about his new universe. Adric's mop-topped alien character was that of a brooding teenager with mixed feelings. Rather naïve, he played up to anyone who showed him any attention, switching loyalties easily at first - such as when he was briefly won over by the vampire Aukon to join their ranks ("State of Decay") and the deranged Monarch to help him convince Earth he was no threat ("Four to Doomsday"), but always returning to The Doctor's side of things, even proving himself useful. Curious, selfish, brilliant, yet sometimes slow to grasp the obvious, he bombarded The Doctor with questions and got himself into difficult situations from which he tried to extract himself and others with odd results. The Doctor was usually able to come to the rescue, but that would not remain so always. Adric's relationships with The Doctor's other companions proved both difficult and brotherly, likely hindered by his own issues with the idea that he and The Doctor were no longer solo companions. He adored Nyssa, his intellectual equal, but seemingly looked down on her as merely a girl, although he later revealed that he had actually been in love with her. His interactions with Tegan turned fiery at times, though there was a bond beneath the surface. Adric wanted to be The Doctor's right hand man and resented the intrusion of the others, the situation becoming more difficult after the Fourth Doctor’s regeneration as The Doctor’s younger-looking Fifth incarnation seemed better suited to an ‘older brother’ role rather than the father-like authority figure of his previous self. He felt jealous of the time The Doctor spent explaining things to the girls and at one point demanded to be returned to his own people, though the journey would have put the whole crew at risk. Though he never gained the expertise of a Time Lord, Adric was able to operate the TARDIS a few times, once by accident (during his first adventure with The Doctor) and later by sheer determination, guiding it through a 'short hop' into the mansion where a Terileptil had trapped The Doctor and Tegan. He later attempted a more complex trip back to Heathrow in 1981- even though Tegan didn’t want to go back any more- but ended up materialising on an island off the cost of Britain instead, attributing this to his background in E-Space causing him to calculate using negative equations where he should consider the positives, although he later speculated that this was the result of the sentient numbers known as ‘the I’ drawing them in to try and contain The I Predator from attacking our plane of existence ("Iterations of I"). Despite these victories, he still sometimes felt unappreciated by his fellow companions- particularly wishing to be closer to Nyssa, having developed feelings for her due to their similar backgrounds - but after being transported to a realm where his own insecurities were given physical form during a confrontation with The Doctor’s old foe the Celestial Toymaker, Adric recognised that he needed to improve his own view of himself if his relationship with his fellow companions was ever going to change ("Divided Loyalties"). As an Alzarian Adric had the special ability to recover quickly from injuries, quickly overcoming minor cuts; even a bullet wound to the leg that would have been crippling for a human was healed on its own in a matter of minutes. His mathematical abilities proved useful to The Doctor and something for The Master to exploit. The Master kidnapped Adric at the end of the fourth Doctor's life and tried to use him as a weapon against the fifth Doctor in order to sabotage his most recent regeneration. Adric fought bravely against The Master's control, was rescued by The Doctor, then guided his friends from the collapsing city of Castrovalva. 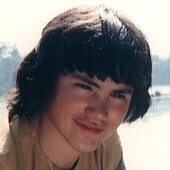 Later on, Adric was briefly kidnapped by a corrupt police officer who wanted to use his skills to manipulate the stock market, but he actually managed to escape by jumping out of the helicopter, others noting that a human jumping from that height would have been crippled at best but Adric walked away with a limp that The Doctor was confident would be completely healed in hours ("Iterations of I"). Although somewhat naïve at times- to the extent that he was once nearly convinced to become a vampire ("State of Decay") - Adric could be heroic. When the tethered Doctor left Monarch's Space Liner to rescue the unfortunate Tegan, Enlightenment set him adrift, Adric subsequently tearing out her circuitry to allow The Doctor to continue his rescue despite his earlier belief in Monarch’s vision of an android society. On Earth in the future Adric sneaked up on a death-dealing robot created by the Cybermen and damaged it with a rock. Later Adric tried to protect Tegan from the Cyberman who was ordered to kill her. A few moments later he convinced The Doctor and Tegan to stop arguing with the Cyberleader to take him with them, assuring them that he would find another way to escape. Adric then raced time and matched wits with Cyber technology to find a way to keep a transport ship from ploughing into Earth. Adric admired The Doctor and tried to emulate him, tried to think as he did, tried to survive by his wits as he had seen The Doctor do so easily. At the last, however, his luck failed, the Cyber-ship he had remained on board crashing into Earth in the past, triggering the cataclysm that would wipe out the dinosaurs, as The Doctor watched from the temporarily-disabled TARDIS, unable to save his friend. Yet, in a roundabout way Adric had saved The Doctor's life yet again, for it was with his gold-treated Badge of Mathematical Excellence that The Doctor managed to defeat the Cyber leader. However, as The Doctor and Nyssa were later to learn much to their shock, Adric had not died in the crash; at the last minute, he had somehow managed to enter the necessary Block Transfer Computations into the starship’s computer to send the entire ship into a pocket dimension based on an Aztec jungle, populated primarily by giant scorpions and insects. 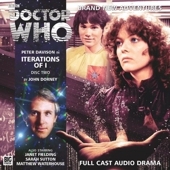 Although the power of the Computations kept Adric alive for over five centuries, simultaneously allowing him to establish his authority other the scorpions, he continued to seek a means of escape, finally being reunited with The Doctor and Nyssa when The Doctor performed his own Block Transfer Computations to try and find the TARDIS after it had been stolen by Victorian thief Thomas Brewster. Driven insane by centuries of isolation and bitterness, Adric refused to accept The Doctor’s attempts to make him realise that he was now essentially just an elderly teenager, complaining when he didn’t get his way and believing that the world should jump to his every whim, attempting to force Nyssa to become his bride and Empress and force The Doctor to admit that he permitted Adric to die ("The Boy That Time Forgot"). Despite his rage at his old friends- made even worse it was revealed that The Doctor had subconsciously helped Adric save himself when conducting the ‘séance’ due to his own guilt over his friend’s death - Adric eventually accepted that The Doctor genuinely regretted not being able to save him, using the last of his now-rapidly-fading strength to return The Doctor and Nyssa to Victorian London before sending a weak telepathic message to Thomas Brewster, allowing him to guide the TARDIS back to The Doctor, before he died, The Doctor and Nyssa arranging and attending a funeral for their old friend before they finally departed with Thomas in the restored TARDIS. Unfortunately, this was not the last time Adric's actions would impact on the Fifth Doctor's life, as a dormant computer program Adric had written to take the TARDIS back through a CVE when it passed in close proximity to one was activated while The Doctor was trying to take Tegan, Turlough and Nyssa to a meeting with Nyssa's son - who she had actually named after Adric ("Prisoners of Fate") - which resulted in the TARDIS being trapped in the now-dying E-Space ("Mistfall"), eventually forcing Nyssa to stay behind to open the portal that would allow The Doctor, Tegan and Turlough to take the TARDIS back home ("The Entropy Plague"). Even after his final meeting with Adric and the subsequent funeral, The Doctor continued to feel guilty over his inability to save his old companion, with such diverse enemies as the Quantum Archangel ("The Quantum Archangel"), the Timewyrm ("Timewyrm: Revelation") and Faction Paradox ("The Ancestor Cell") taunting and tormenting later Doctors with the memory of Adric’s death to try and convince him to work with them or put him emotionally off-balance. On one occasion, when the Seventh Doctor crossed his own timeline and met his fifth self shortly after his regeneration ("Cold Fusion"), he was particularly grateful for the chance to see Adric again, treating him warmly despite his dismissive attitude towards his past self, the Seventh’s companion Roslyn Forrester comparing the Seventh Doctor’s treatment of Adric to a grandfather working with a grandson, reflecting The Doctor’s continued regret over his failure. In "Earthshock" Adric had just rescued The Doctor and several other people from an attack by powerful androids. One could almost hear the addition of 'of course' in The Doctor's tone of voice.